3rd-strike.com | FINAL FANTASY- Relive your favorite FINAL FANTASY games! 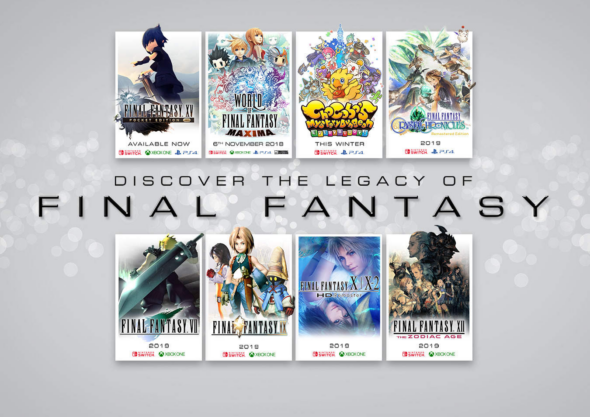 FINAL FANTASY- Relive your favorite FINAL FANTASY games! Square Enix has announced something great for FINAL FANTASY fans today! Several FINAL FANTASY titles are being released for the Nintendo Switch, Xbox One, PS4, and Steam. Fans will be able to play Final Fantasy on any console they want. Today FINAL FANTASY XV POCKET EDITION HD has been released for the Switch which is the first from several FINAL FANTASY titles that will be released. WORLD OF FINAL FANTASY MAXIMA will be next on 6 November. Chocobo’s Mystery Dungeon EVERY BUDDY! will finally return after 10 years. FINAL FANTASY CRYSTAL CHRONICLES Remastered Edition and other titles will be released in 2019. FINAL FANTASY fans will now be able to re-play their favorite games on different consoles! For more information about each game check here.